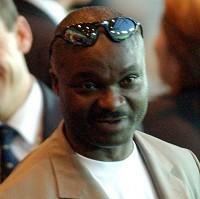 Roger Milla believes the display by the African nations at the World Cup has been disappointing. The former Cameroon international - a star at the 1990 World Cup in which he scored four goals on the way to defeat to England in the quarter-finals - also hit out at his own nation's woeful display in the tournament, blaming indiscipline in the camp. "It was disappointing," he said. "A lot of people were saying that there would be three African teams in the second round and only Ghana made it, although that was to the quarter-finals."